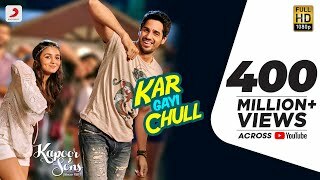 The Craziest House Party Song of the Year is here, Kar Gayi Chull featuring the gorgeous Alia Bhatt and the talented Sidharth Malhotra from the upcoming Bollywood film, Kapoor & Sons (Since 1921). The song is composed by Badshah, recreated by Amaal Mallik, written by Badshah & Kumaar and sung in the widely loved voices of Badshah, Fazilpuria, Sukriti Kakar and Neha Kakkar! Kapoor & Sons (Since 1921) Releases in Cinemas on 18th March, 2016.